Swimming has kept me stress-free and active. Swim team has easily molded much of my life for the better. “It gives me something to get better at and drive for the next big meet. Teenagers nowadays have a lot of stress, and swimming allows me to clear my head, and focus on what’s important to me. After a long, difficult swim I feel refreshed. It also keeps me active and fit, so I don’t just sit on the couch for hours on end. Swimming also has one of the most positive environments anywhere, and we all share a common goal of getting better together. 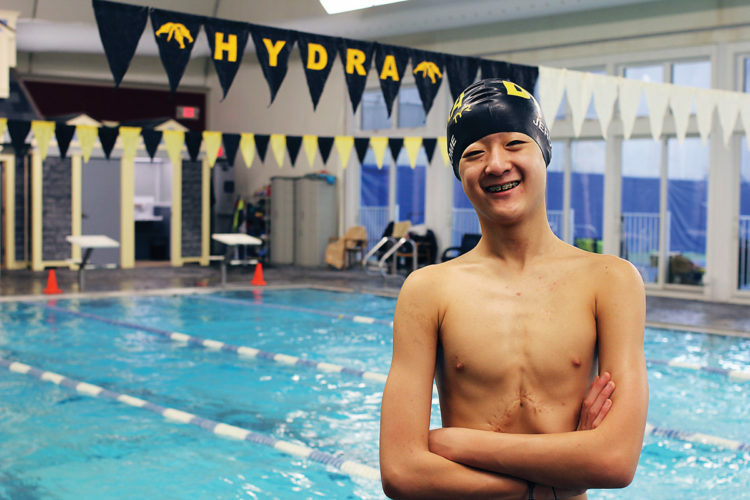 Joey Jerome has participated in Dedham Health’s swimming program since he was nearly five years old. 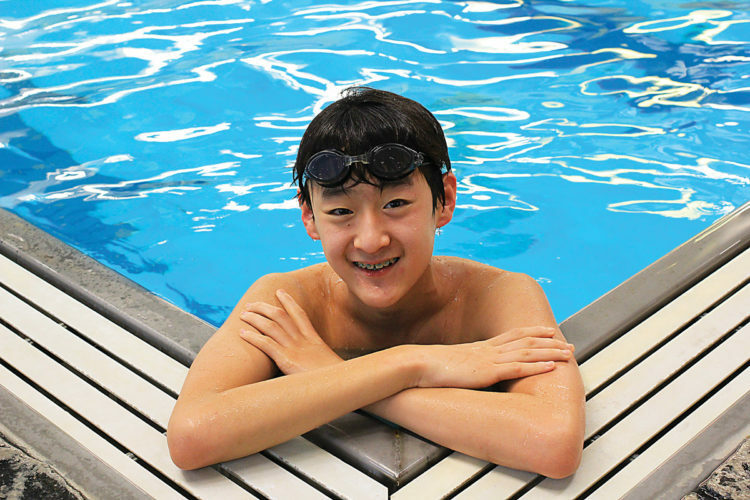 Starting in swim lessons at level 1, he worked his way up the ladder to reach pre-team at age nine. By that time he was eager to begin swimming competitively. 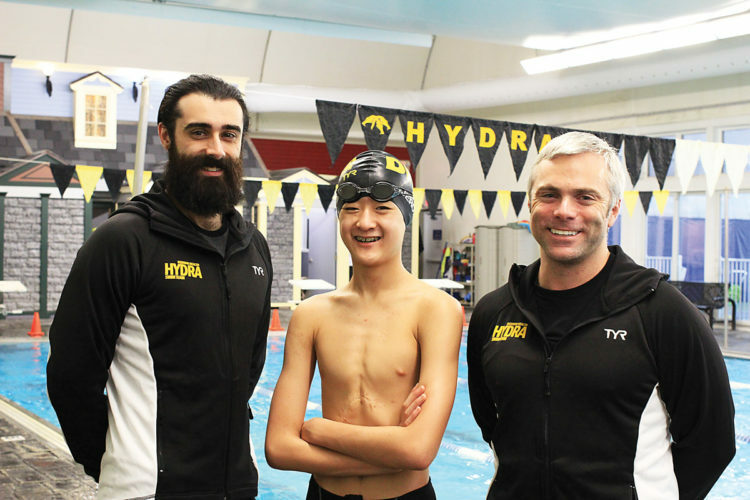 Coaches Chris Klinkow and Mike Moses have worked with Joey since he started in the program and have watched him progress not only as a swimmer but also as a young student-athlete. Joey has qualified for New England Swimming championship meets every year he has been a member of the team. He has grown not only a strong swimmer and competitor but has shown the team a strong sense of character and commitment as well. He has made his coaches and team incredibly proud that he wears the Hydra colors. Now, at age fourteen, Joey is setting his sights on championships for the 2018-19 short course season. So far this year, thanks to his hard work at practice, Joey has made significant improvements in all his events and is experimenting with some new ones as well. See you on deck Joe!